Fully functional fidget spinner. Outer part rotates around inner disk. Note photo of sinner spinning so fast you cannot see the outer part. Two stl and obj files provided. Spinner3B has tigher tolerences than Spinner3. 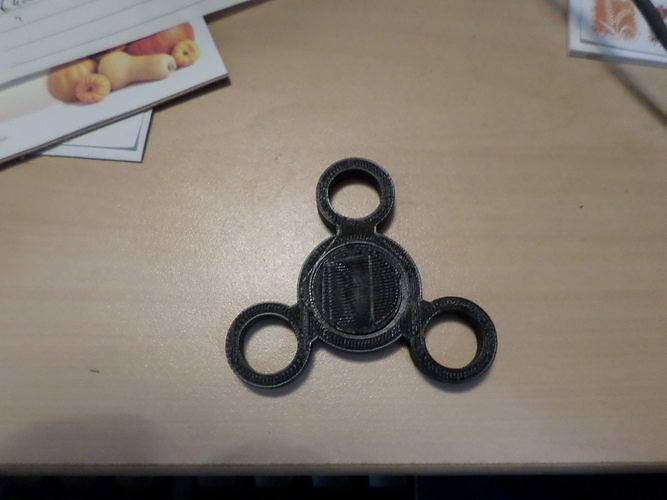 Spinner3B works better, but has a chance that the inner disk will be stuck to the outer if your 3D printer is not as precise as some, so I have provided two options.